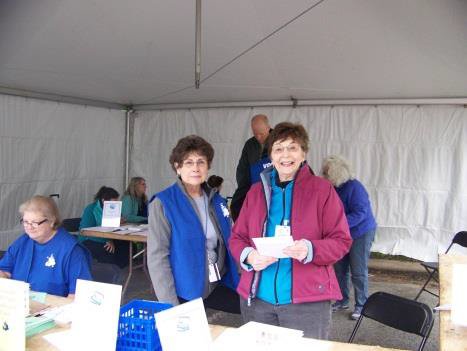 Duke Hospital Auxiliary's primary goal is to support hospital programs through volunteer hours and financial support with particular emphasis on patient and family needs that raises the level of patient care and comfort. Duke Hospital Auxiliary is a vital part of the Duke University Health System Team. Be the difference the world needs by volunteering with Duke Hospital Auxiliary! Do you like babies or children? You’d LOVE our Kidz Need Hugz and Maternal Angels programs. Want free exercise while helping patients? Deliver the goods to patients at just the right time with our Ecards or the Book Cart. Don’t have a lot of time? That’s OK too! Assist with in our gift shops once a week or twice a month. This provides RETAIL THERAPY for many staff members, patients, families and MORE! We’d love to have you here with us at Duke! Please visit our Volunteer Tab above for more specific info and to learn more about Duke hospital Auxiliary in Durham. Duke Hospital Auxiliary is thankful for the financial support of Duke Stores and Duke Health System who make it possible for DHA to support amazing hospital programs and meet its mission statement as a non profit organization. Copyright © 2019 Duke hospital Auxiliary - All Rights Reserved.